Fire requires three elements; heat, fuel and oxygen. Remove any one of these factors and the fire is effectively extinguished. When a flame comes into contact with Protal’s unique intimate blends, tiny amounts of inert, non-burning gases push the oxygen away from the surface to stop the burning process. As soon as the flaming stops and the source is removed, gas production stops and a charred barrier remains – no melting, no dripping and no material sticking to the skin. The charring action and protected integrity of the fabric gives the wearer valuable time to react appropriately, while being fully protected. Ralph Test carried out at BTTG. 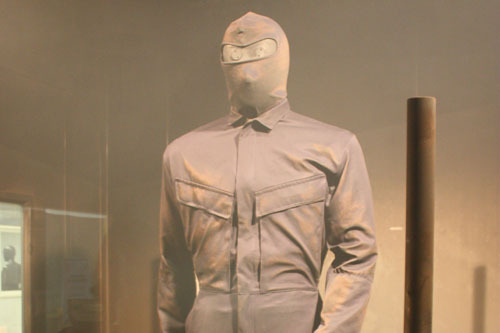 The test involves temperatures of up to 900°C with 8 flame emitters enveloping the garment and mannequin in flame. High-performance fibres intimately blended with long-staple combed cotton without any chemical treatment give Protal its unparalleled soft, natural touch and appearance. 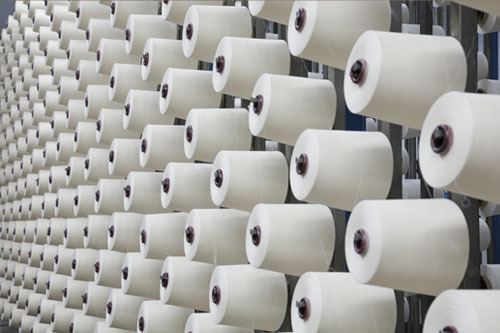 Each balanced blend of fibres allows the resulting fabric to have highly effective moisture management properties. Protal’s inherent flame retardant properties will not deteriorate or diminish; they are literally ‘built-in’ to the fabric. As well as eliminating the need for costly re-treatment and unpleasant odours, this also gives Protal the edge in practical comfort. There is no loss in performance, even after repeated laundering (including industrial), dry or spot-cleaning. Protective clothing manufactured with any of the blends in the Protal range, stays looking good for longer, performing right to the end of its lifecycle. Protal is available from very lightweight fabrics. The carefully balanced blends of fibres accept all colours, including Hi-visibility. As you would expect, to stay at the cutting edge of FR technology, Waxman invests heavily in refining the range in order to improve product performance and maintain its position in the protective clothing market. Naturally, we also insist on the same strict processing controls from our partners. Protal fabrics are suitable for woven, knitted or non-woven protective workwear and are designed for use as next to skin, liner, inter-liner and outer fabric. Waxman’s knowledgeable and skilled partners are constantly developing new yarn, fabric and garment solutions for a number of diverse applications. Specifiers and procurement personnel alike can rest assured the Protal range offers a wide choice of fabric options to cover the increasingly complex and ever-changing global compliancy laws and world safety standards.